Inducing creativity is composed of two elements: the ability of your brain to make random neural connections, forming completely new ideas in the process, and remaining open and receptive to new ideas. It’s been discovered that sound can be used to elicit responses in the brain; the brain becomes “entrained”, which means it starts to resonate at the same frequency as the sound. This sound therapy Creativity session uses frequencies to stimulate Alpha and Theta brainwaves, to make you more receptive, while also randomly spiking into higher brainwave states. 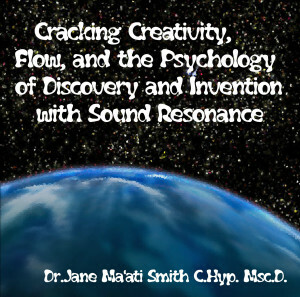 This is a successfully proven method for producing new neural connections, and stimulating creativity and the formation of new ideas.